SECURE-FIT LID: Maintains excellent temperature retention. 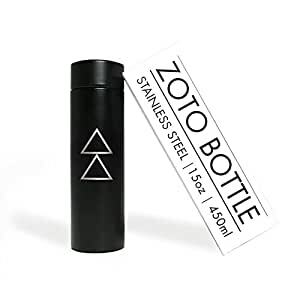 ECO-FRIENDLY AND FREE FROM BPA/HARMFUL TOXINS: Certified free from BPA, phthalates, hormones, lead, and other harmful toxins. Let’s cut our use of plastic bottles! 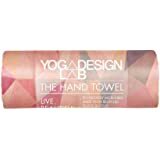 YOGA DESIGN LAB | Commuter Yoga Mat | 2-in-1 Mat+Towel | Lightweight, Foldable, Eco Luxury | Ideal Hot Yoga, Bikram, Pilates, Barre, Sweat | 1.5mm Thick | Includes Carrying Strap! Yoga Design Lab’s top rated yoga bottle is back and designed for even better performance. Tea/fresh fruit infusion filter included. Just put your tea or fruit inside bottle and seal with infusion filter. Easy and ready to go! 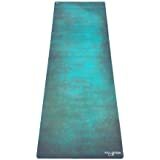 Purchase any 2 or more YOGA DESIGN LAB products (mats, towels, blocks, straps, etc) and get an additional 10% OFF your order! See discount code section on this listing for specific code to enter. After going through 4 different water bottles this year alone, I have been very picky in my search for my next bottle. I love YDL because their products have never failed me in the past so I was excited to try this one. I was pleasantly surprised by this bottle! It is hearty and can take a hit (already dropped it twice and no scratches or dents), it kept my tea piping hot for 4 hours (the time it took for me to finish it), and the overall look is fantastic. I love the simple black and silver with the YDL double triangle logo. I am recommending this to all my fellow yogis in class. Love the built in tea infuser! Small bottle, the rubber seal inside the lid was a little "ruffled". FYI return cost is $5.00 which is 1/2 the price of the bottle. The Yoga Design Lab insulated water bottle is the best! I have purchased many different brands of water bottles but this one is by far my favorite. It not only keeps drinks cold for hours but even kept the ice for 10 hours. I love the slim design of the bottle itself. It doesn't feel awkward or bulky. Love this bottle. The only complaint is I swear I taste the stainless steel in my water. Love this bottle!! Love the design and the look and I especially love the tea steeper that you can add to it!